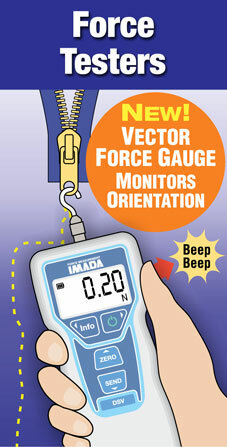 Force Gauges, Force Testers, Torque Testers | Imada Inc.
Force Gauges, Torque Testers and More! What is a Force Gauge? People are often confused about the difference between weight (mass) and force. Scales measure weight (mass) in pounds (lb) or kilograms (kg), etc. 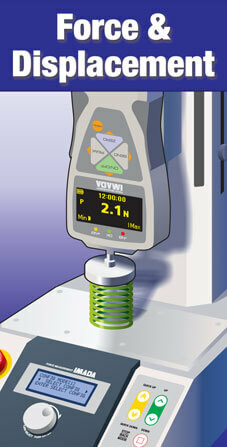 Force gauges, on the other hand, measure force in Newtons. 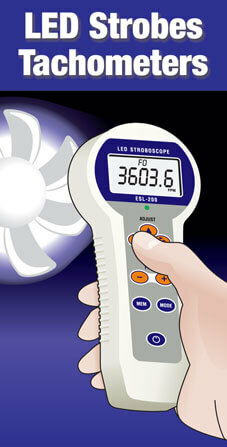 (In the US, other units such as lbf, ozf and kgf are also in use.) One Newton is defined as the force needed to accelerate 1 kilogram of mass at the rate of 1 meter per second every second. 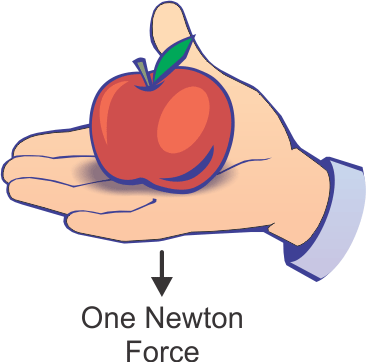 You can feel this one Newton force by putting a small apple (100 g) on your palm. 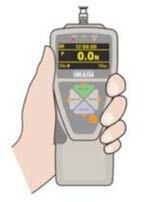 Imada offers a wide range of force, torque and speed measurement products including: force gauges, test stands, torque testers, stroboscopes and tachometers. 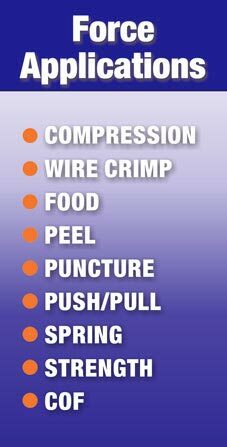 Our knowledgeable sales/engineering staff is ready to help with stock instruments or custom measurement applications. Most items ship within 2 days from our stock. Same day air shipment is available for orders received by 3 PM Central Time. 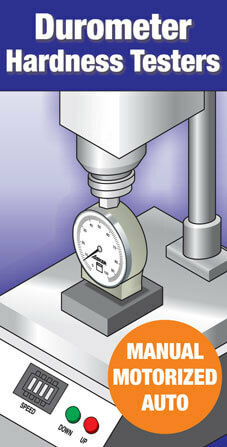 Our Calibration Lab has a two day turn around policy. 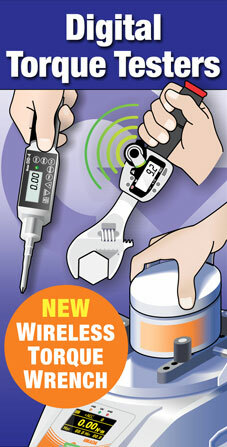 We will provide a repair/calibration estimate within two business days and then complete approved jobs within two days. Expedited service is available.